the BULL, the BEAR, and the BUMBLEY BEE! 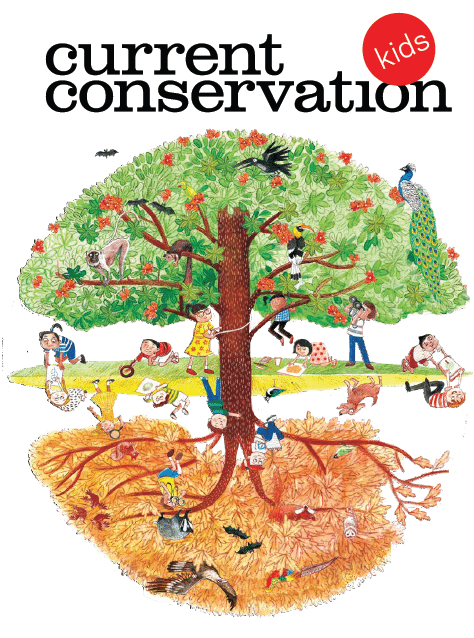 We are also happy to announce the launch of a Current Conservation children’s section, from this edition onwards. More about this from our editors Matt, Ankila and Kalyani. Current Conservation Kids, just for you! And you must meet, George, who works in a tree! We hope you’ll enjoy this, we’d love to know. Tell us your thoughts, send us ideas you have. Or send questions for George if you want to know more!